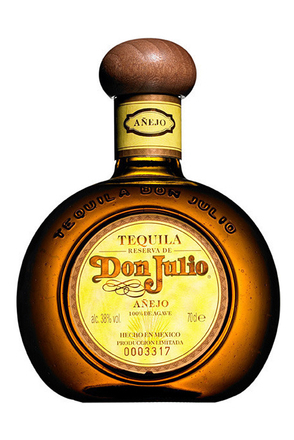 Pronounced ‘don-hoo-li-o’, this tequila is named after Don Julio González (born 1925), who started working in his uncle’s tequila distillery in 1932 as a child aged just seven and established his own distillery, Tres Magueyes, in 1942, when he was only 17. 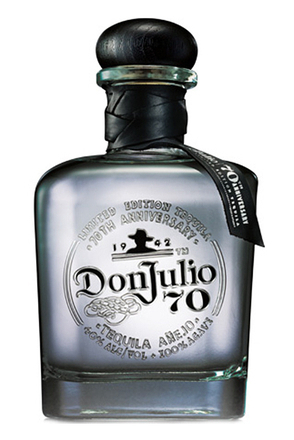 In 1987 Don Julio’s sons threw a party to commemorate his 45th anniversary in the tequila industry. Up to that time they had being producing mixto tequila but to celebrate the occasion they created a very special 100% agave tequila as a gift for their father’s friends and family. That original family reserve was what we now term ‘reposado’ and it is considered by many to be the original of the category. 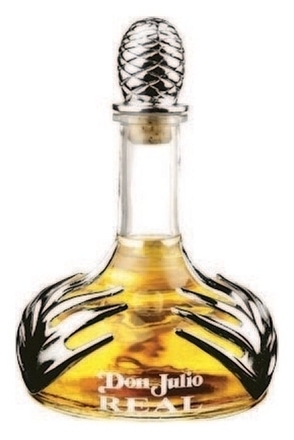 It was also presented in a square hand-blown bottle, as is still used for Don Julio Reposado today, and that too was the first of its type. 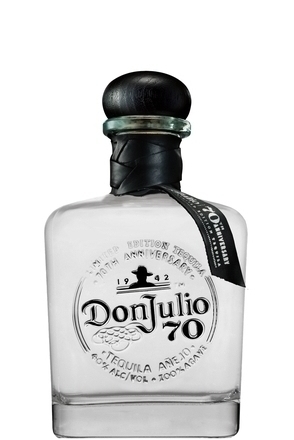 Since the sale of the Don Julio brand to Diageo, Sr. Don Julio and indeed his family, are no longer involved in the brands production. The master distiller and production manager is now one of his protégée, Enrique de Colsa. Born in Veracruz, Mexico, Enrique graduated from the University of Anáhuac in Edo in 1981 with a diploma in Industrial Engineering and began work in the bottling industry. 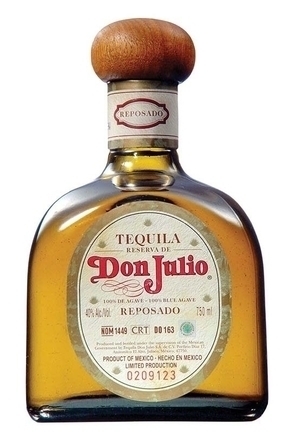 Interestingly, his career with Tequila Don Julio started with the design of the iconic, hand-blown glass bottle and wooden stopper that is still used today. 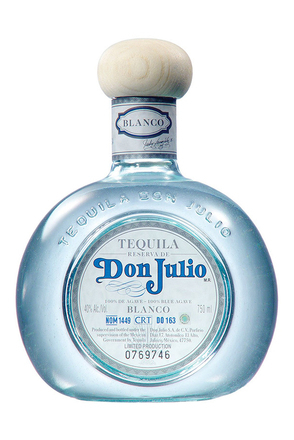 It was during this time that de Colsa was invited to officially join Don Julio. Launched 1996, this blanco 100 per cent agave tequila is un-aged - merely rested for a short period in inert containers before bottling.